ARTSi Studio Founder Sharon Calle wants everyone to “say yes to art.” Just as going to a weekly yoga class has become commonplace, Calle believes going to an art class should become a regular healing habit in which people participate. Calle noticed that there was a need for more art studios in western Morris County now that painting parties have become a popular trend, and she wanted to fill that need. During the spring of 2016, Calle began to offer in-home painting parties. In the fall, she collaborated with local recreation departments to teach cartooning classes. Calle is now partnering with Long Valley Arts to offer studio art classes for children and adults. From painting to origami, Calle looks to provide her students with quality instruction and unique artistic experiences apart from what other studios offer. Calle earned her bachelor’s degree in fine arts from the Columbus College of Art and Design where she majored in illustration. In 2011, she began her teaching career at Long Valley’s Old Farmers Road School teaching art as a maternity leave replacement. 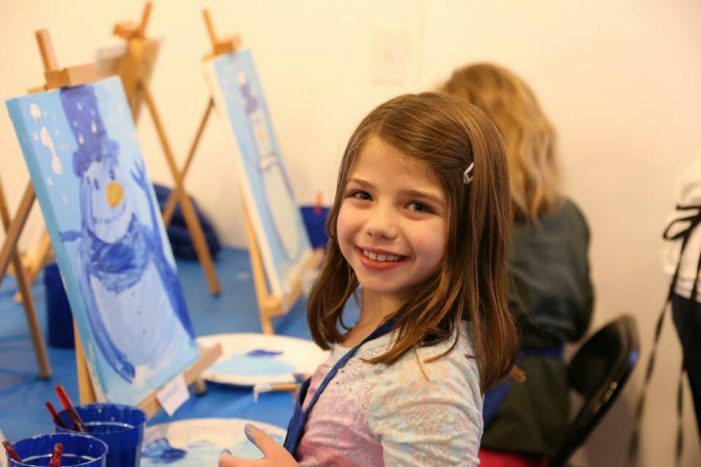 She also has experience teaching art in Mendham and Chester. The planning and organizational skills she learned as an art teacher in Morris County transfers to Calle’s studio classes. Her lessons are very organized and intuitive. Calle starts every session by showing participants an example of the finished piece. Then, she walks them through the artistic process step by step. Calle loves to see the different directions her students take on their pieces. Not only do her students learn from her instruction, but she also learns from her students’ input and creativity. Her favorite part about teaching the classes is to see her students’ enthusiasm. This winter, Calle offers six weekly classes which run from January through February. Wild About Drawing, Fun With Watercolor, Mini Sculptures, Crazy for Collage, and Paint Your Pet are for children ages six to 12; and Origami Adventure is for children ages eight and older. For more information about the classes and to register, visit artsi-studio.com/classes. In addition to her studio classes, Calle organizes special workshops and monthly painting parties. There will be a Chinese New Year family workshop Sun., Jan. 29, where participants will learn how to make their own dragon puppets. In the future, Calle hopes to start more classes for teens and adults. One aspect of Calle’s love for the arts is in the practice’s communicative power. “I love how art communicates a message without words,” she explained. Calle hopes that her passion for the arts is communicated through her unique classes so that her students, too, would come to realize art as an integral part of life. For more information about ARTSi Studio, visit artsi-studio.com or email Calle at sharon@artsi-studio.com.